Xiaomi and digital content creator The Viral Fever (TVF) have announced a strategic partnership for the recently launched Mi TV 4 and Mi TV 4A in India. As a part of this partnership, TVF has announced that all of its content including videos and web-series will be available across all Mi TVs. Xiaomi has launched its Mi TV 4 in India earlier last month and earlier this month the company had launched its light version, dubbed as the Mi TV 4A. 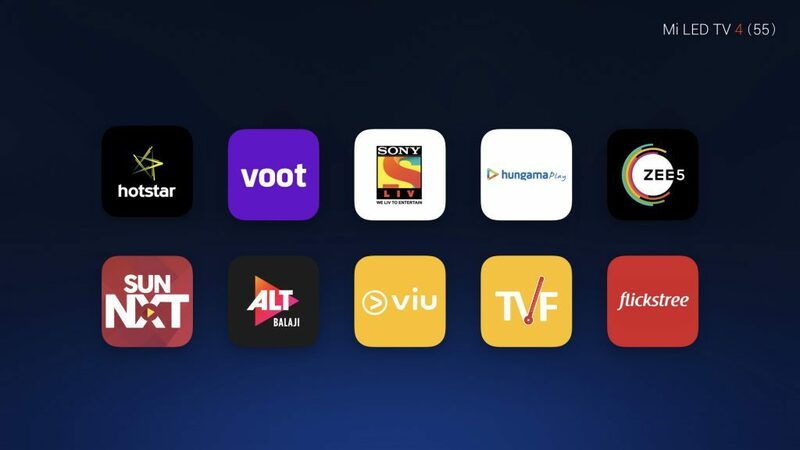 Xiaomi has the largest content aggregator library in India in their Mi TV and now with this partnership, TVF Play joins the league of the select partnering content providers for the Mi TV. “TVF is the pioneer of premium digital content in the country and is very focused on innovative ideas to satisfy the needs of Indian youth. The MiTV4 offers a great internet TV experience and is loaded with great content that is not available on other TVs in its category and that too at an unbelievable price – that is bound to shake up the TV eco-system in India. Xiaomi had launched the Mi TV 4 with a 55-inch 4K HDR display priced at Rs. 39,999. The Mi TV 4A is offered in a 32-inch variant with HD display, priced at Rs. 13,999, along with a 43-inch model which is priced at Rs. 22,999 and comes with an FHD panel.